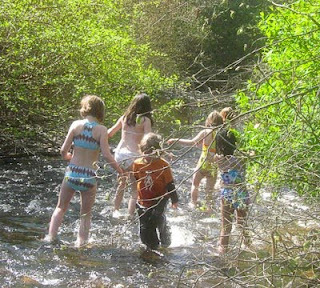 North Creek, a lovely salmon-spawning creek, runs year round through The Clearwater School's property. 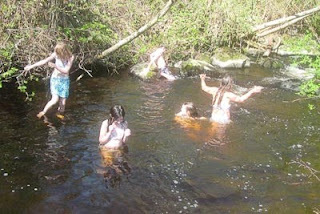 Many students enjoy wading and swimming in the creek during warm weather. 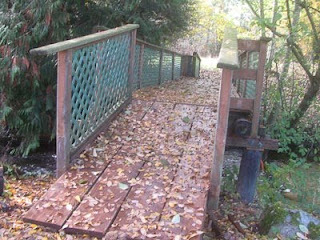 There is one bridge that provides access to the other side of the creek. 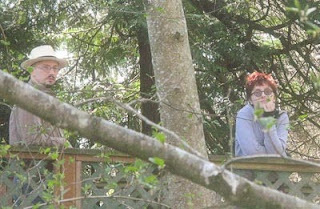 The west side of the creek includes a couple of beach areas, a large open pasture with scattered trees and shrubs popular for playing capture the flag and a small wooded area, christened Creek Village by a group of students who have created and continue to develop the story of the village and their own characters as the village inhabitants. The bridge pre-dates Clearwater's ownership of the property and the bridge deck has never felt as solid as a bridge should . 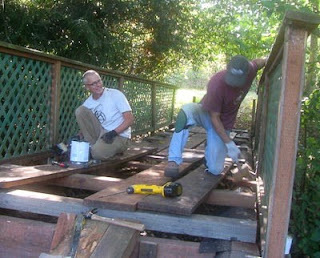 A couple of years ago, we patched some deteriorating areas on the sides of the deck. 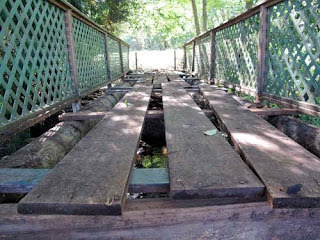 This year it became clear it was time to replace the bridge. Read more by clicking link below. After removing the decking, it was a relief to find that the upright posts, the horizontal beams and railings were still sound. Tom Campbell coordinated rebuilding the bridge. 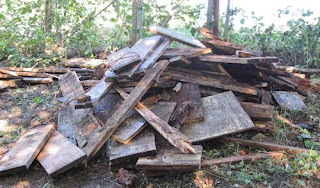 He organized skilled parent volunteers to deconstruct the deck and rebuild it, salvaged and acquired sturdy materials and put a lot of his own time into the actual building. 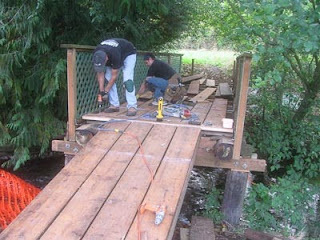 In addition to Tom, huge thanks are due to Weylin, Jonathan, Matt, David, Chad, Eric, Bob, Ian and Kurt who donated their time and skill to making a sturdy new bridge, which re-opened in late October, about a month after work began. 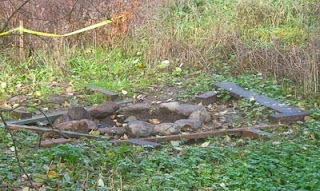 A by-product of the bridge rebuilding is a new fire pit up the bank from the creek, which was created and used for the first time to burn some of the unsalvageable wood. No doubt there will be some wonderful gatherings around the fire pit in the future. 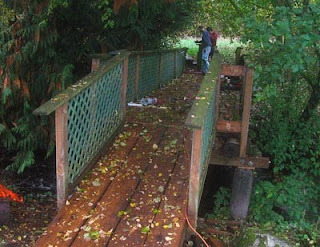 It is a pleasure to cross the new bridge, secure and sturdy enough to accommodate many thousands of running and walking footfalls across the creek for years to come.